It’s a fitting name, Bing Ji Ling. Translating from Mandarin to “ice cream”, Quinn Luke’s stage-identity encapsulates everything about the treat: cool, sweet, the perfect finish to sunny days, and a romantic symbol of Americana. 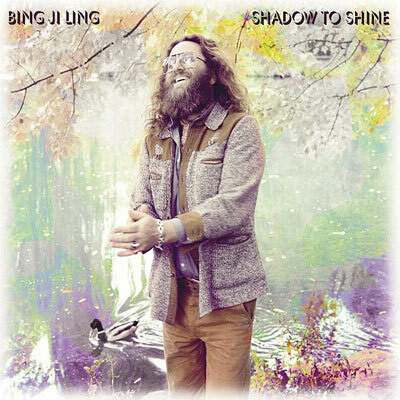 Led by opener, “Move On”, Bing Ji Ling’s third album stands out as one of the better Motown-soul revivals in an increasingly saturated field. Best known for his work in the Phenomenal Handclap Band, Luke brings together members of Sharon Jones and the Dap Kings, Scissor Sisters, Antibalas, and, of course, PHB for Shadow to Shine. Glimmers of PHB’s funk aesthetics certainly show themselves here. But the overarching mood is more romantic than raucous, as soft acoustics and pacific horns accent the yacht-rock balladry and smooth blue-eyed soul on songs, such as “Sunshine Love” and “Hypnotized”. These days, Mother Nature’s bipolar ways may not be able to tell us, but with the breezy, breathtaking Shadow to Shine, Bing Ji Ling is ready to announce that summer is indeed here. Buy this at Other Music.